Sam(uel) Houston, governor of two states, president of the Republic of Texas, U.S. senator, and military hero, was one of the most colorful figures of 19th-century America. Born near Lexington, Va., on Mar. 2, 1793, he was reared in Tennessee by his widowed mother. As a youth he spent much time with Cherokee Indians and developed close ties with them. Joining the army, he served under Andrew Jackson in the Creek wars (1813-14). In 1818, Houston resigned his commission and, after studying law for a few months, was elected attorney general for Nashville and appointed adjutant general of Tennessee. He served two terms in Congress (1823-27) and in 1827 was elected governor of Tennessee. While governor, Houston married Eliza Allen on Jan. 1, 1829. For unexplained reasons (see below), however, the marriage was dissolved almost immediately, and Houston, under pressure from the influential Allen family, resigned his office. For the next 6 years he lived with Cherokee Indians in the Indian Territory (now Oklahoma), taking a Cherokee wife, Tiana Rogers (see below), and adopting Cherokee citizenship. He was a trader, advisor, and special envoy for the tribe on several occasions. It was in this last capacity that he first went to Texas, then under Mexican rule, in 1832 in a futile attempt to secure a land grant for the tribe. By 1835, Houston had moved to Texas. With the outbreak of the Texas Revolution in that year he was named commanding general of the revolutionary army. In March 1836, Houston was a delegate to the convention that declared Texas an independent republic. His command was reconfirmed, and he led the Texas army to a brilliant victory over Santa Anna in the Battle of San Jacinto (Apr. 21, 1836). Houston served as the first president of the new republic from 1836 to 1838 and was later elected to a second term (1841-44). 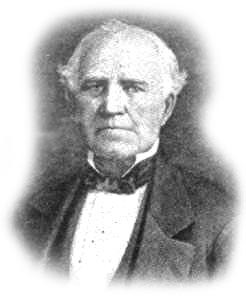 After the annexation (1845) of Texas by the United States, he was elected to the U.S. Senate, serving from 1846 to 1859. In the Senate, Houston was known for his staunch Unionism and friendship for the Indians. Unhappy that Texas seemed to be moving toward secession, he successfully ran for governor as an independent Unionist in 1859. Despite his efforts, however, the people of Texas voted to secede, and he was forced out of office in March 1861. In 1840, Houston had married Margaret Lea in Alabama. She had persuaded him to stop drinking, for which he had a sizeable reputation, and to join the Baptist church. They had eight children. Houston died at his home in Huntsville on July 26, 1863. The city of Houston, Texas, was named for him. Houston's military records show that he was 6 foot 2 inches when he was 19 years old. His Texas legend puts him at 6 foot 6 inches on his death. His family holds that he was a bit shorter. Sam had a bit of a drinking problem. In his early life, he drank quite a bit, and it was certainly no secret. Later in his life, after he married Margaret (his 3rd wife), she is reputed to have "reformed" him and stopped his drinking. However, Sam still consumed 'bitters', which were considered medicinal alcohol. While Sam was a drinker, probably for most of his life, most men in Texas were drinkers of a sort as well, so he did not stand out in that respect as heavy drinkers tend to do in today's society. Sam Houston settled in Huintsville Texas because The hills there reminded him of his boyhood home near Maryville, Tennessee. Sam was married three times. His first wife was named Eliza Allen. They were married January 22, 1829. Sam Houston's second wife was a Cherokee Indian woman whose name was Tiana Rodgers, also known as Diana Rodgers. They were married in the summer of 1830. Margaret Moffette Lea was Sam Houston's third wife. They were married May 9, 1840 and remained married for the remainder of Sam Houston's lifetime. He was seventy years old at the time of his death on July 26th, 1863. He died at 6:15 pm. Sam Was Buried in Huntsville, Texas in the Oakwood Cemetery. Houston chose this location. It was across the street from where the Steamboat House once stood. To access the Grave site, Exit right on 19th Street as you leave the park. Go to Avenue O (the first stop sign) and turn right. Continue on Avenue O until 11th Street. At 11th Street turn right. Travel six blocks to the intersection of Avenue I and 11th. Turn left and go three blocks to the grave site. gone to school six months in all when my father died. I was fourteen at the time." "It is a matter of great satisfaction to me to hope that my children will be in circumstances to receive a good education. Mine was defective and I feel the inconvenience, if not the misfortune of not receiving a classical education. Knowledge is the food of genius, and my son, let no opportunity escape you to treasure up knowledge." "We view ourselves on the eve of battle. We are nerved for the contest, and must conquer or perish. It is vain to look for present aid: none is at hand. We must now act or abandon all hope! Rally to the standard, and be no longer the scoff of mercenary tongues! Be men, be free men, that your children may bless their father's name." "Texas will again lift it's head and stand among the nations. it ought to do so, for no country upon the globe can compare with it in natural advantages"
measures, But Texas was absolutely overrun by such men." "I preferred measuring deer tracks, to tape-that I liked the wild liberty of the Red men better then the tyranny of my brothers". "I am aware that in presenting myself as the advocate of the Indians and their rights, I shall stand very much alone". "To secede from the Union and set up another government would cause war. If you go to war with the United States, you will never conquer her, as she has the money and the men. If she does not whip you by guns, powder, and steel, she will starve you to death. It will take the flower of the country-the young men." "In the name of the constitution of Texas, which has been trampled upon, I refuse to take this oath. I love Texas too well to bring civil strife and bloodshed upon her." "I declare that civil war is inevitable and is near at hand. When it comes the descendants of the heros of Lexington and Bunker Hill will be found equal in patriotism, courage and heroic endurance with the descendants of the heroes of Cowpens and Yorktown. For this reason I predict the civil war which is now at hand will be stubborn and of long duration."